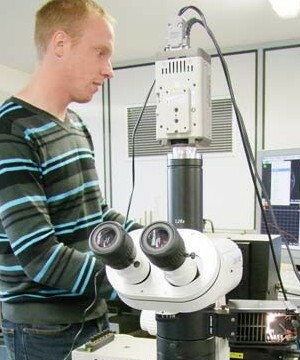 Our team’s research belongs to the most advanced in the world. 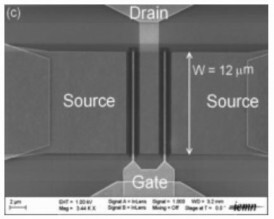 Our lab has achieved stat-of-the art performance with Carbon Nanotube Field Effect Transistor (CNFEl) obtained with solution of sorted walled carbon nanotubes, with Ft = 80 GHz. 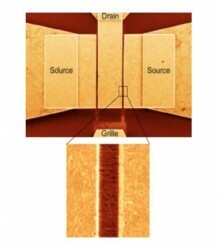 Using samples containing 99% pure semiconducting SWNTs, we achieved operating frequencies above 80 GHz. 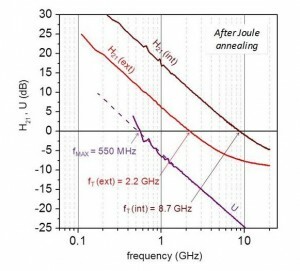 This record frequency does not require aligned SWNTs, thus demonstrating the remarkable potential of random networks of sorted SWNTs for high frequency electronics. 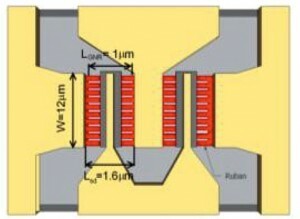 Carbon has also developed a high impedance measurement technique to achieve HF characterization on nano-structures, up to 220 GHz. This research program is conducted with CEA MEL, ENS LPA, IEF Orsay, MTA (University of NorthWestern). 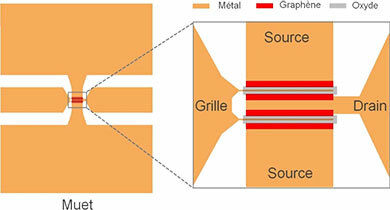 Graphene nano-ribbon FETs (GNRFETs) are very promising devices in the field of nanoelectronics, thanks to their excellent carrier-transport properties and potential for large-scale processing and fabrication. Carbon’s expertise on solution-based material has been developed to implement flexible RF graphene transistors as active devices (circuits or systems), using low-cost printed electronic technology, with graphene and 20 materials based inks. 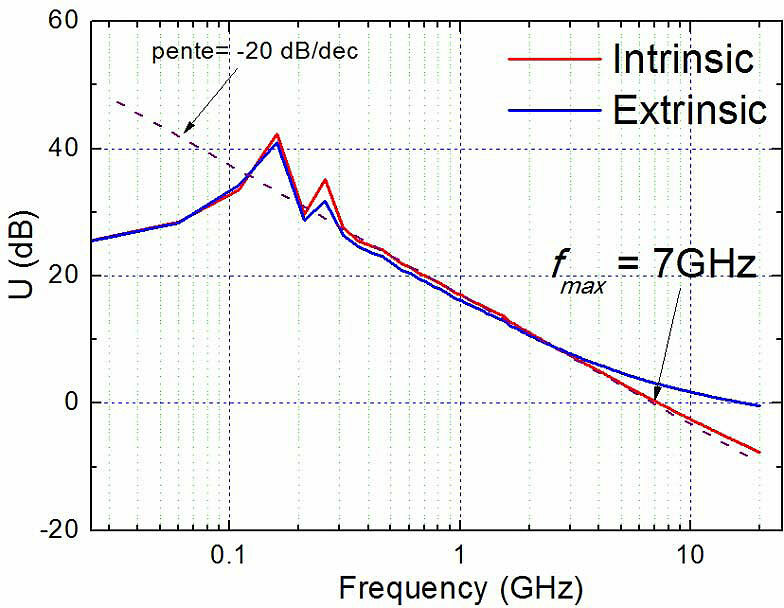 The static and dynamical properties up to 60 GHz are measured both on flat and bent configuration. Carbon possesses high quality electrical characterization equipment and has developed state-of-the-art methods to enhance the accuracy of results. Carbon’s specific know how allows to quantify the HF performance of devices and extract the small signal equivalent circuit (estimation of intrinsic / extrinsic HF performance, optimization of transistor architecture and topology and electrical modeling). 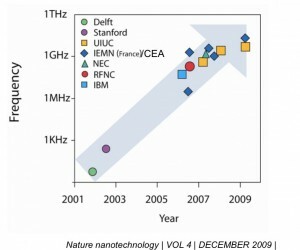 Measurement techniques are performed both in the spectral and time domains. 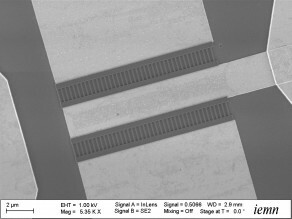 Carbon has developed unique de-embedding procedures, to isolate nano materials electrical properties at high frequency, without transmission line access and parasitic capacitances. This approach greatly reduces the impact of technological processes.